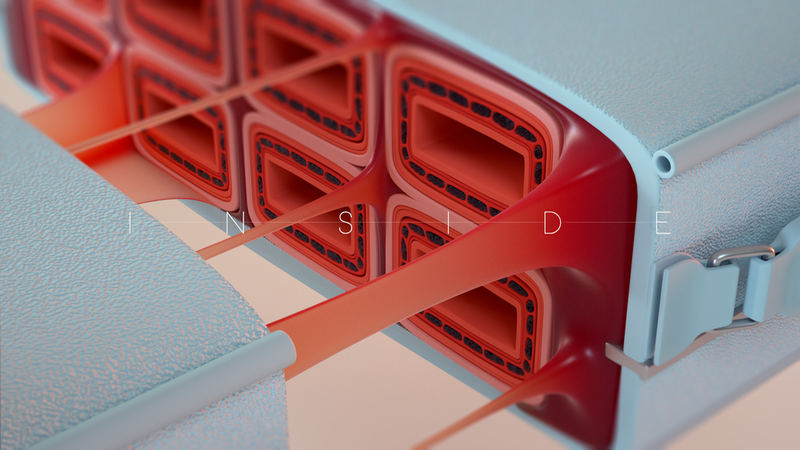 “Inside” is a personal project where I wanted to improve my skills with Octane and CINEMA 4D. I wanted to have a theme of contrast playing in the image, with contrast in both colour and texture. I built an exterior shell made up of hard plastics, metal and cracked leather with soft, gooey interiors and translucent materials of warmer tones. There had to be a retro vibe too for fun! Nothing says "retro chic" like baby blue so to balance that I opted to punctuate the scene with a cherry red colour.